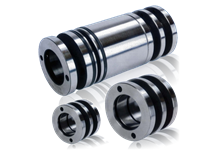 SPIETH - Machine Elements | Advanced Machine & Engineering Co.
Spieth is a technological leader and provider of mechanical connecting, bearing and locking solutions for drive and guide components. Spieth connecting components are one-piece, rotationally symmetrical elements that fulfill their clamping, gripping, locking and guiding functions thanks to their elastic deformation. Axial force is applied to them to activate the function. As a result of the elements’ geometry, all elastic movements are made with maximum symmetry and take advantage of the high production quality of the Spieth components to align the connection. Precision nuts with a high-quality locking system (premium thread-locking). 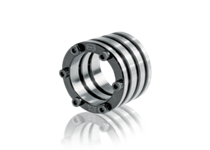 Spieth locknuts with the unique Spieth principle can be set exactly to the demanding tasks in mechanical engineering with extreme precision and even clamping forces on the thread flanks. 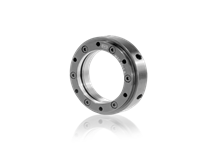 Friction-locked shaft-hub connections providing all-round pressure. 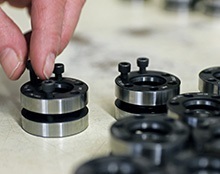 They are more accurate, precise, efficient, and easier to assembly and more service-friendly thanks to the Spieth principle. 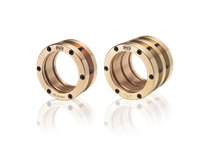 Spieth guide bushings – round guidance and clamping with adjustable play – open up new dimensions for modern, efficient and economical machine designs with high power densities and high levels of dynamic stress thanks to the Spieth principle. Spieth Hydraulic Guiding and Clamping Sleeves guide and automatically clamp machine components such as quills, guide bars, clamp and support posts on automatic mechanisms and machines.